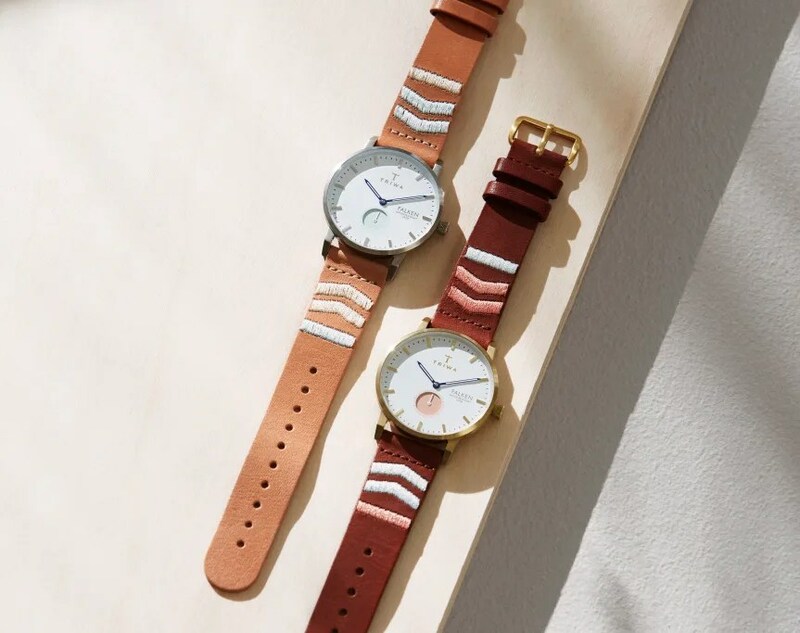 As spring approaches and Scandinavia brightens, the Swedish watch brand TRIWA releases their latest spring collection of watches. Inspired by warmer latitudes, tropical environments and the characteristic surf culture, four new models were brought to life. All interpreted in bright pastels and summery leather straps. Falken is one of TRIWAs best selling models, but never before have we seen it rendered in such a playful and distinctive way. The latest additions in the Falken family come in two versions and in four different styles. Coral Falken: The combination of soft coral and brushed gold on a ivory white dial, gives it a stylish and conspicuous impression. Together with detail embroidery on a classic brown leather strap it becomes more playful and summer compatible. Wave Falken: Pastel blue and ivory white surrounded by a stainless steel case creates a vital and crisp impact. The tan leather strap completes the simplicity of the design, and the embroideries add up for a more playful impression.